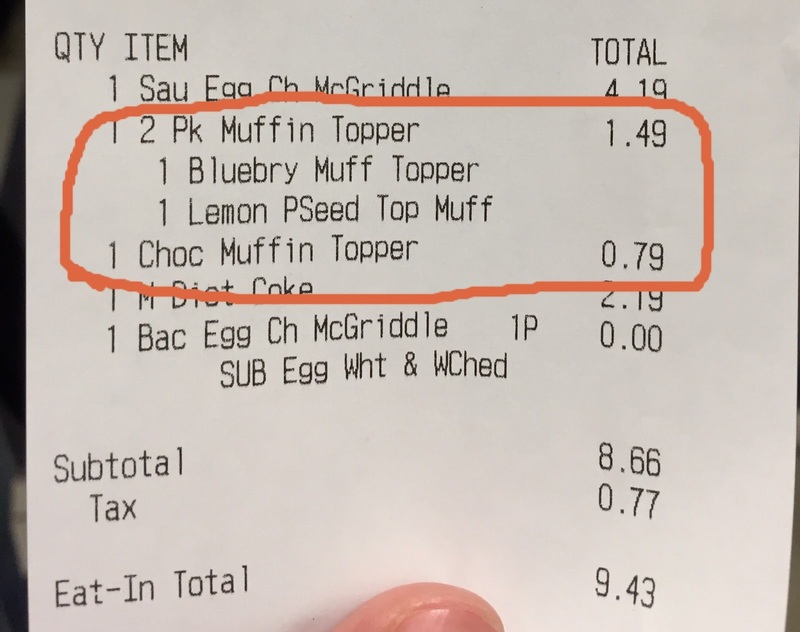 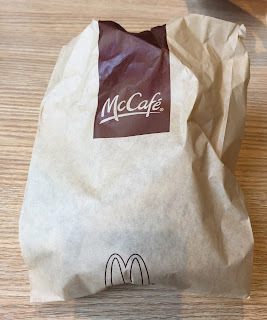 My husband found McDonald's had Muffin Toppers as new a menu last night, and we went to get them this morning. When I saw this photo, I instantly thought of "The Muffin Tops" episode from Seinfeld. 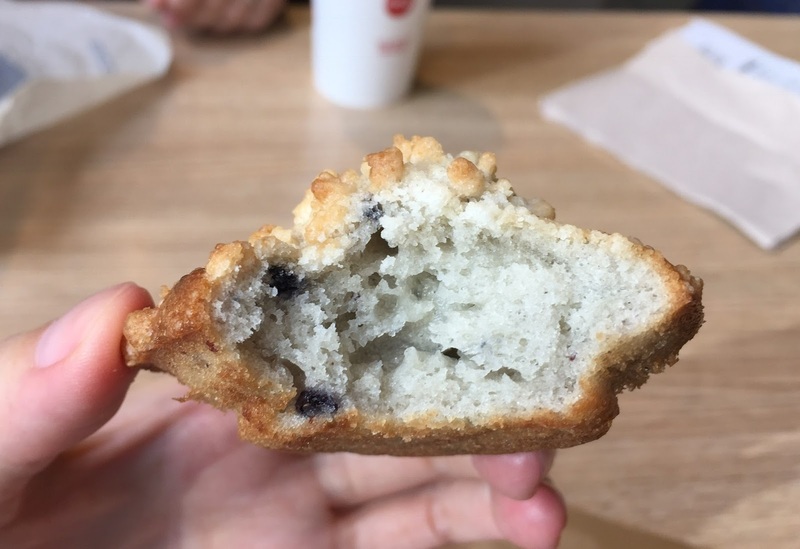 * In the episode, a bakery started selling the cut-off top of the muffin. 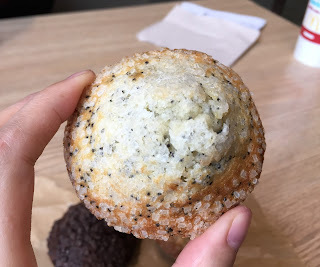 Over the poster, there're samples in the display but I was surprised how small they were, and because the 3 flavors were all in one plate, I thought it's a set of 3. 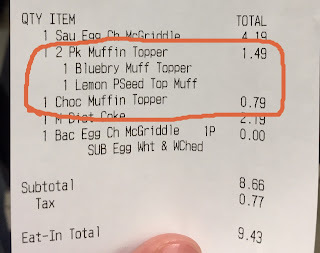 2 for 1.49 dollars and 1 for 79 cents, so there's only 4.5 cents difference per piece. They're all put in one paper bag. 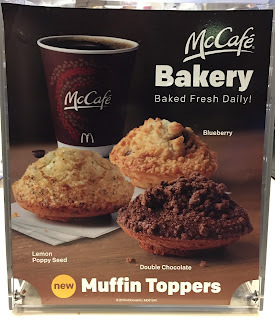 I could see that they grabbed each Muffin Topper one by one with parchment paper. From the left, there're Lemon Poppy Seed, Double Chocolate and Blueberry. 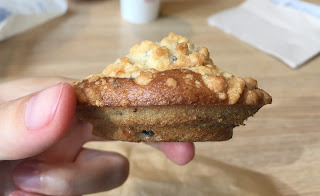 Unlike the "The Muffin Tops," it's not cut a cut-off muffin top but rather baked in a very shallow mold to have the muffin top. 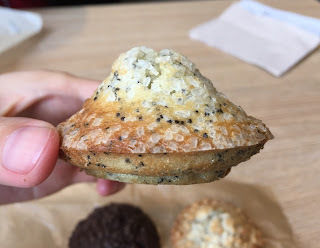 The top was crunchy, however, it's not because they baked it correctly but because of the crystal sugars. 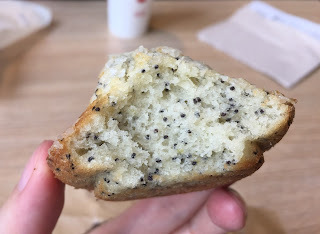 It had refreshing lemon scent and popping poppy seeds in a soft and moist muffin. Recently my iPhone doesn't save the photos I've taken and this happened to this Double Chocolate Muffin Topper, thus I put the enlarged photo of it. On the top, there're chocolate chips and the dough was lightly sweetened chocolate. 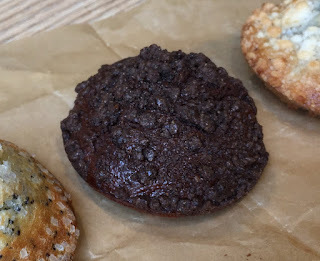 The center was so soft and the texture was as if it's an overcooked fondant chocolat (lava cake). This flavor had the crunchiest surface thanks to the crumbles on top, and there're some sweet-sour blueberry chunks. 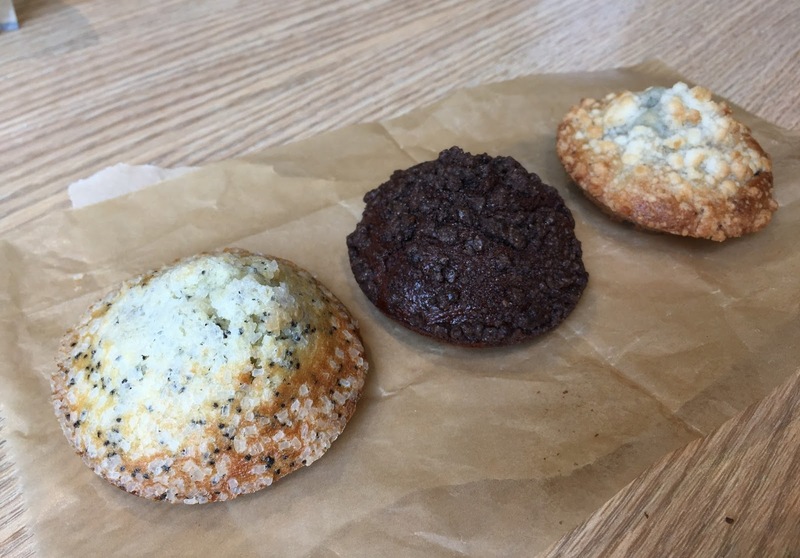 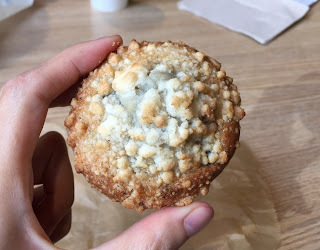 Overall, I don't think it can be called "Muffin Topper" because they didn't have the crispy surface, but on the other hand, if I think of them as mini muffins, it's nice to be able to try several flavors at once.